Arlington is finally ready to open up its network to local businesses seeking better connectivity, reports local news WJLA. The county board recently voted unanimously to allow providers to lease dark fiber from approximately 10 miles of the 59-mile network. They hope to spur economic development and entice ISPs to provide better connectivity for residents via the network. "The dark fiber, in the most simplest terms, is like a super highway. You're the only car on that highway and you can go as fast as the vehicle you've chosen can go," explained Jack Belcher, chief information officer of Arlington County. 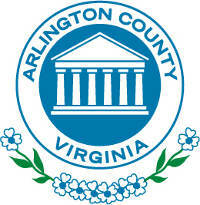 We first reported on Arlington's network in 2012, after the community had dedicated about 2 years to the project. They took advantage of investments in the local Intelligent Transportation System (ITS) upgrades, improvements to the emergency communications system, and an electric power upgrade by a local electrical provider to deploy a next generation network. The original plan was focused on schools, traffic management, and public safety, but last year community leaders chose to investigate expanding the network for economic development. We spoke with Belcher last May in Episode #97 of the Community Broadband Bits podcast.